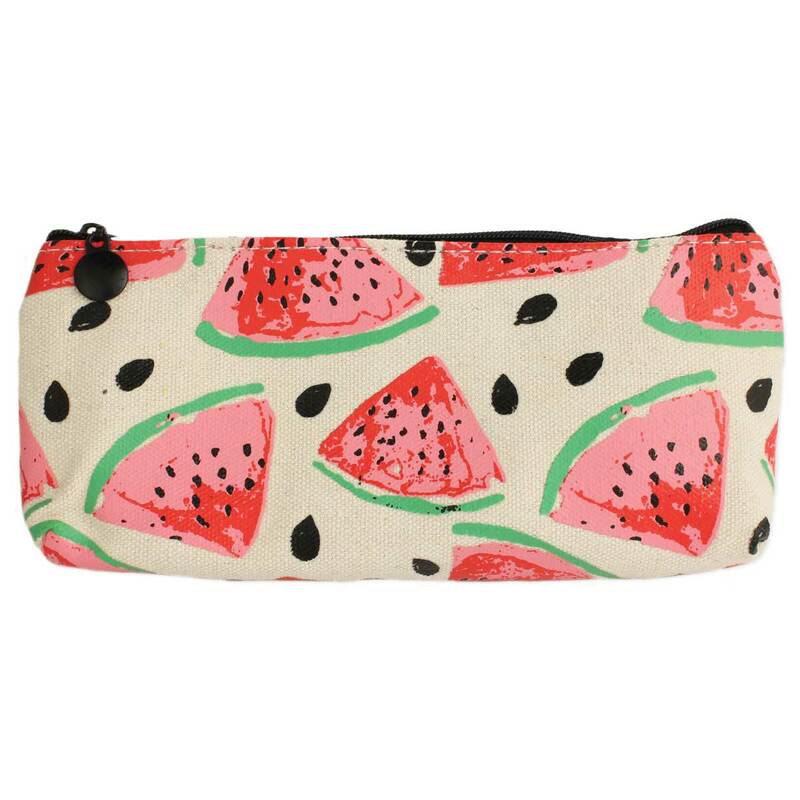 This watermelon print canvas zippered bag just screams juicy and sweet! Perfect summer accessory to help carry your make up, phone, or other daily needs. Measurements (approx.) 7 1/2" x 3 3/4"